Ok, hands up if you're one of those households who don't open their bills... oops. Guilty here! 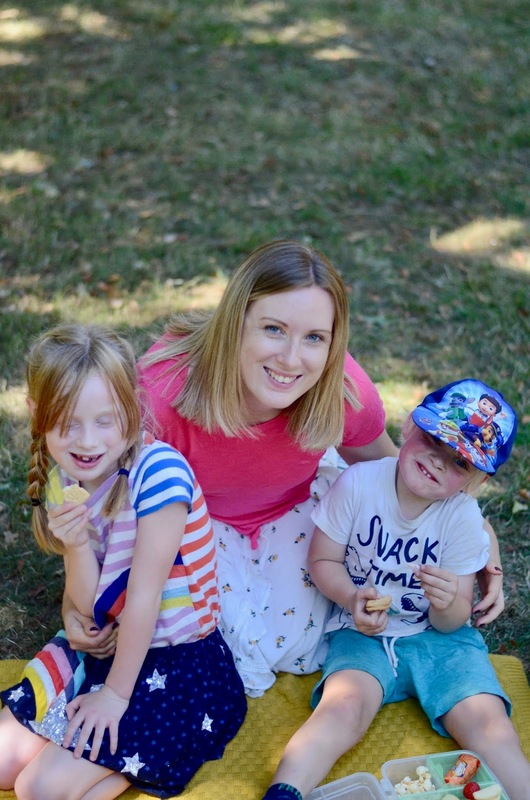 Since starting a family young, saving money and keeping track of where it's all going has been one of the steepest learning curves we have had. Suddenly we had extra outgoings, higher rent and one less wage to work with! And don't get me started on the dreaded bills! 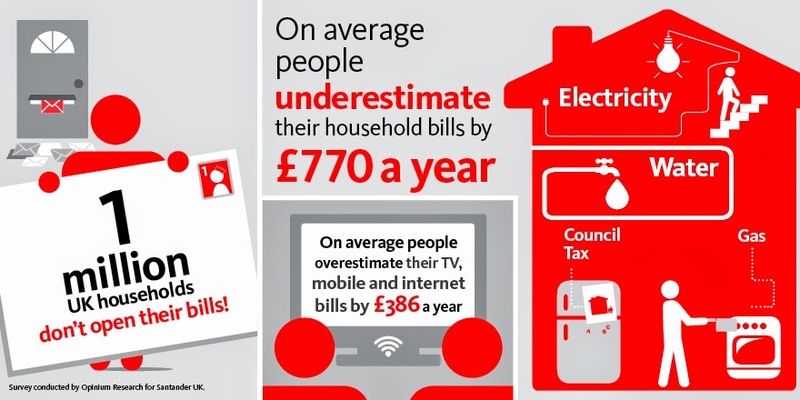 You can see from the infographic above that people are massively underestimating their household bills each year, and are overestimating their TV, mobile and internet ones. I know that we are certainly guilty of this, and when you have a young family and money is tight, it's definitely not a good thing. So when I heard about Santander's current account which pays you cash back on your household bills and interest, I was definitely interested in finding out more! For just £2 a month, you can get monthly cashback on selected household bills as well as a monthly interest of 3% AER (variable) on balances between £3000 and £20,000! And I know what you're thinking... you can't be bothered to change accounts? It takes too long, there's too much paperwork and it's a real headache. Well, guess again. The dedicated switcher team manage the switch of all your direct debits, standing orders and salary. They close your old account for you and ensure that all of your payments are directed to the new account for 13 months. So it really couldn't be easier! I know that the cost of living is insane right now. I think everyone is feeling the pinch, but as a young family we certainly are. This is certainly one account that will make life a little easier and with so many ways to manage it including online and on your mobile, keeping track of those outgoings couldn't be easier. And you might even find a few extra pounds to spend in those post-Christmas sales!! Any excuse, hey?